There is a very short window of time to get out of pure-play oil & gas company investments without substantial losses. It is imperative to sell them now. It is already too late to get out of pure-play coal company investments without substantial losses. But they will lose even more money going forward. Utility companies which have a heavy reliance on fossil fuels are also in trouble. Diversified companies will lose money on their coal, oil, and gas portfolios, although this may not be significant enough to warrant getting out of a diversified company. It will remain possible to do short-term swing trading in coal, oil, and gas companies with no future, but this is inappropriately risky behavior for a conservative investor. Oil demand is mostly for cars & trucks and will be destroyed by electric cars & trucks. Electricity will be primarily generated by solar and wind, as they will be cheaper than fossils. Coal demand is mostly for electricity, is already being destroyed by natural gas, and will be further destroyed by cheap solar and wind. Gas demand for heating will be destroyed by electric heat pumps, and for electricity by solar and wind. The residual demand (for airplanes, steelmaking, and plastics feedstocks) will not be enough to prevent the extraction and refining companies from losing enormous amounts of money over the next couple of decades. Utilities will do badly if they bet on fossil fuels and will do well if they invest in low-priced solar, wind, and batteries. There are three major categories of fossil fuels: coal, oil, and gas. I will discuss oil first, with a detour to electricity, then coal, then gas, and finally a section on the fate of utilities. I will go through pricing calculations and comparisons to demonstrate that the alternatives to coal, oil, and gas are either already cheaper or guaranteed to be cheaper within the next 2 years for a sufficiently large percentage of consumers to cause huge drops in fossil fuel demand over the next 10 years. The dividend is coming out of the capital of the company. Exxon paid out more in dividends than it earned in the third quarter of 2016 (earnings 63 cents per share, dividend 75 cents per share). 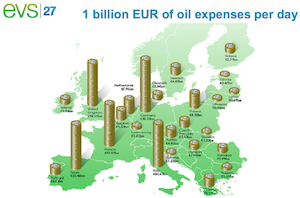 The other oil majors are in similar financial trouble. Chevron is recording losses. Shell and Chevron are also paying out dividends in excess of earnings. BP and Shell have introduced scrip dividend programs in order to avoid paying out dividends in cash. All of them, including BP, are borrowing large amounts of money. Upstream businesses are losing money or barely breaking even; refinery profits are dropping; only the chemicals business is stable and it’s quite small. The majors are, of course, much more financially secure than second-tier oil companies like Anadarko and Devon, which lose money routinely. So much for the empirical evidence that they’re bad investments. I can also explain why. In the 1970s, the oil companies stopped being able to find cheap Texas-style “gushers”. All the easy oil had been found. Each additional oil well was more expensive than the last. As the old easy fields depleted, the price had to go up. The US lower 48 conventional production peaked in the 1970s; two “oil crises” followed, and subsequent oil production was in worse fields, or with more expensive technology; meaning that the oil price went up permanently. In inflation-adjusted terms, the oil price has not gone back down to the cheap prices of the 1960s, and it never will, because the production cost of new oil is higher than that. There was an oil production glut in parts of 2015 and 2016. When oil dropped to $26/bbl earlier in 2016, every driller was losing money. There is a lot of argument about what prices are necessary to make various fields profitable. Everyone agrees that already-drilled wells have very low production costs (with the Saudis having the lowest costs, at $1 or $2/bbl on existing wells). But old wells do run out (and newer wells, being in worse locations, run out faster than older wells). There is the consensus that the vast majority of new drilling is unprofitable below $40/bbl, and most of it is unprofitable below $50/bbl. This number keeps rising each year. The Kepler Cheauvreux report, quoted in Mother Jones: Oil companies have spent a great deal of money on exploration since the year 2000; expenditures went up by 120%, but reserves only increased by 11% as of 2015. They have burned a lot of money but they haven’t really found anything — everything they’ve found has been too expensive to produce profitably. As a result of wasting so much money for so many years, oil companies are finally cutting expenditures on exploration as of 2015, which is a good idea. But they are still spending a lot on exploration and finding nothing good. And even ending exploration entirely won’t be enough to make them profitable in the long run. Refinery processes separate crude oil into different fractions, from long-chain heavy asphalt oil through kerosene, diesel, gasoline, and then the very-short-chains, butane, propane, and natural gas. The refineries then convert some products into others; it’s easy to shorten chains and hard to lengthen them. The refineries are all designed to maximize gasoline (or occasionally diesel) production. Oil used to be used heavily for home heating. This started disappearing after the 1970s oil crises because oil got too expensive. It became significantly cheaper to heat homes with natural gas, or even electricity — alternatives were cheaper. Oil used to be used heavily for electricity generation. This started disappearing after the 1970s oil crises because oil got too expensive. It became significantly cheaper to generate electricity with practically anything else — all alternatives were cheaper. Oil used to be used heavily for chemicals and plastics production. Guess what — the factories started switching to natural gas, because it was cheaper, and it was a more chemically consistent product, so it was easier to get more reliable results. This process has now largely completed. Asphalt is made with byproducts left over from oil refining which would otherwise be thrown away; this means it is a very low-margin item for the oil companies. And if it gets even slightly more expensive, concrete becomes cheaper and will be used instead. Lubricants are a very small market, and many of them are either made artificially or made from plant or animal sources anyway. So, with the cheap oil gone, oil has priced itself out of almost all of its markets. It is about to be priced out of the road vehicle market. A typical gasoline (non-hybrid) automobile gets about 25 mpg. The most efficient get about 40 mpg. The lowest average price in the last year was $1.69, when oil hit $26/bbl, but at that oil price, even existing wells are unprofitable and will be shut in. Using the best-case scenario (a 40 mpg econobox and $1.80 gasoline), this is 4.5 cents per mile. Using a more realistic scenario (a 25 mpg car and $2.20 gasoline), this is 8.8 cents per mile. Gasoline is more expensive in almost every other country than it is in the US, with the exception of some members of OPEC. The average electricity rate in the US is 12 cents per kilowatt-hour. This is roughly 6 cents in generation costs and 6 cents in transmission costs. This translates to 4.5 cents per mile. This is a worst-case running costs scenario for the electric car. The Chevy Volt uses 0.310 kWh/mile on electricity, which comes out to 3.72 cents/mile. So electric cars are cheaper to operate than gasoline cars, period. Note that this is a fairly recent phenomenon. In the past, gasoline was much cheaper — and electricity was much more expensive. Hybrids can get up to 55 mpg. However, who would buy a hybrid when they can buy a plug-in hybrid for practically the same price? The Chevy Volt is the most popular plug-in hybrid. It is documented that nearly all Chevy Volt drivers spend most of their time — over 75% driving in electric mode — and use very little gas. This is practically as bad for gasoline demand as a pure battery-electric car. They don’t shake like gasoline cars. You don’t have to go to gas stations; plug in at home at night and your “tank” is full in the morning. They have wicked fast acceleration. They have an absolutely smooth ride. They have fewer parts to maintain. They appear to actually be more durable. Plug-in hybrids like the Volt. Tesla’s Supercharger network of high-speed chargers spanning the world. Electricity is, in fact, available practically everywhere, even where there are no gas stations. So why haven’t electric cars taken over the market already? Basically, they cost more upfront. This is also being addressed. The Chevy Bolt, a pure battery-electric car with a 238-mile EPA-rated range, is now available for $36,620. 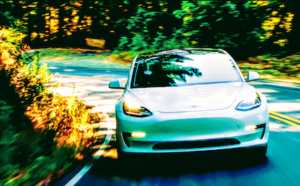 The Tesla Model 3 will be available in 2019 for $35,000. Other companies are rushing into the market, including many in China (e.g., BYD, BAIC, SAIC, Geely, Zotye). Battery costs were high. They are dropping fast and electric car prices will drop with them. Few were produced, so economies of scale were not operative. This solves itself as production grows, and production is growing. Prices will come down further. Even before that, the disappearance of the entire >$35,000 car market is going to put a huge hole in gasoline demand. Electricity prices are much higher than the 12 cent average in a few parts of the country, but that cannot last, because cheaper electricity is available. This deserves its own section. The average retail electricity rate in the US is 12 cents per kilowatt-hour. This is roughly 6 cents in generation costs and 6 cents in transmission costs. Lazard estimated recently that utility solar had a levelized cost of energy between 3.6 cents / kWh and 4.4 cents / kWh, following a trajectory which they predicted the previous year. This is an average for the country, however; some places get better sunlight than others. Some new-build utility solar farms are selling electricity under long-term contracts at a currency-converted equivalent of 5.4 cents per kWh in Denmark, which has worse sunlight than anywhere in the US and nearly all of the world. Wind power is even cheaper than that right now. Lazard estimated new wind power would have an unsubsidized LCOE between 2.9 cents and 5.6 cents per kWh, on average, and prices continue to drop. Solar prices are going down even faster — they are dropping by roughly 20% per year on average. Commercial and industrial rooftop solar (which avoids transmission costs) has an average unsubsidized LCOE around 8.1 cents per kWh and 17 cents per kWh (compared to 8.8–19.3 cents per kWh in November 2015). 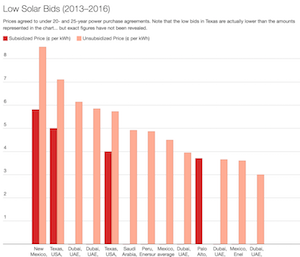 Residential solar (which also avoids the transmission cost) has remained stubbornly expensive in the United States for reasons related to installer overhead, not to the cost of the panels themselves. Lazard’s LCOE report in November 2015 was estimated between 18.4 cents and 30 cents per kWh. However, I got a quote personally which was about 14 cents per kWh (the installers are more competitive in my area). 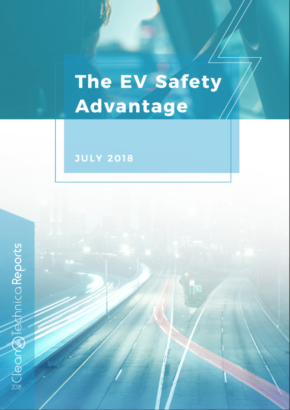 The newest report puts the average range between 16 cents and 26.7 cents per kWh. The panels themselves are now running at $0.50/watt DC. The average fully installed price in the US is still as high as $3.88/watt DC. In Australia, which is a more typical maturing market with lower installer overhead, the average price (after Australia’s incentives, which are rather hard to compute) is AUD$1.63/watt (USD$1.21/watt) as of November 2016. It takes some work to convert this to an unsubsidized LCOE number, but it is less than 12 cents (US) / kWh. First of all, even if solar is only supplying all of the daytime electricity, this will hold down the price of electricity. And even if wind is only supplying all the nighttime electricity nine days out of ten, this will hold down the price of electricity. Other, more expensive forms of generation will be used rarely. Second, battery storage is already being installed, because it is valuable for frequency regulation, supply-demand balancing, emergency backup, etc. This fills in most of the shorter gaps in solar and wind generation. And batteries keep getting cheaper, very fast. Third, in the short term, cheap natural gas is being used to generate electricity. I believe the price of natural gas will eventually go up, and I explain this later in the natural gas section, but before it changes, the grid will already be primarily solar, wind, and batteries, and that’ll keep the price down around where it is right now. 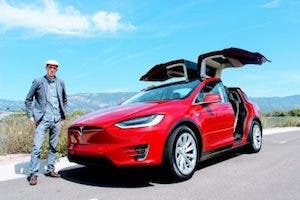 It could be argued that it will take a long time to transition to electric cars even when they are manifestly superior, cheaper to operate, and cheaper to buy. Under these circumstances, however, capital funding will pour into electric car production. Electric car production, worldwide, has already been growing at a rate of about 50% per year; it is quite likely that this will accelerate. If the 50% rate is maintained, demand for oil drops enough to cause a permanent glut by roughly 2023. If there is an acceleration — and the production rate in China has been growing at over 200% per year — then this will happen before 2023. Bloomberg has predicted this glut. However, I have separately come up with the 2023 date using a different model, based on comparing demand destruction with the decline rate of oil fields, which concludes that the glut will most likely be permanent. Gas stations are already closing; there are fewer every year. Gas station retailers make tiny, almost nonexistent margins on gasoline and use it as a loss leader to bring people into their convenience stores. As gasoline demand drops, this will become an ineffective retail strategy; so gas stations will close. After enough gas stations close, this will make gasoline cars much less attractive and cause people to rush to get electric cars as soon as possible. What Happens After Oil Is Priced Out Of The Road Vehicle Market? Obviously, total revenue from oil sales shrinks massively, since gasoline is about 60% of oil sales. Margins shrink because gasoline was the single most profitable product. This hits the gas stations; they close, as noted before. It hits the refineries. There are more refineries around than are needed for the new, smaller market so many of them shut down entirely. Those refineries which survive have huge retooling costs. All their units for converting other fractions of crude oil into gasoline are useless, write-offs. They have to retool to optimize for aircraft kerosene (the second-most-profitable product). They have a lot of wasted short-chain gasoline components which they can’t make into kerosene, which they probably crack into natural gas. There’s a glut of gasoline on the market and a glut of kerosene. The low prices bankrupt most drillers and probably hurt even operators of existing fields. Alternatively — with all new drilling ended — the natural decline of oil fields might happen faster than the disappearance of demand, in which case the oil price becomes high; but the high price means that people switch to alternatives even faster, so oil demand drops even faster, and the oil price goes back down. This is a dying business. After the shakeout and bankruptcies, there may be a stable business supplying oil for aircraft kerosene, but it will almost certainly be controlled entirely by non-investable state oil companies, which have the cheapest costs of production from existing fields. Coal used to be used for heating and cooking but basically isn’t anymore. Originally, anthracite – high-quality hard mineral coal – was preferred and used for everything, both heating, and steel. It burned pretty cleanly. It could be used directly in steel mills. However, all the cheap, easy-to-get anthracite was dug up and burned. Eventually, anthracite got too expensive to compete on the market. Steel mills switched to using coke, which was made by converting lower-grade “metallurgical” coal in a special furnace (a dirty process, but cheaper than the now-very-expensive anthracite). Other users switched to bituminous, sub-bituminous, or lignite coal. “Peak anthracite” happened around 1910. You can still buy it in tiny quantities at high prices for home coal-burning stoves in some rural areas, but it’s not a significant business. Coal for heating and cooking was replaced due to the enormous local pollution it caused, in stages from the 1920s through the 1970s; initially replaced by oil, then by natural gas, and finally by electricity. It’s basically gone. Coal for electricity is now too expensive to compete and is being replaced, first by natural gas and then by wind and solar power. New-build coal plants are already too expensive and nobody is building any. This should be obvious by now. Anyone who was invested in coal has already lost large amounts of money. It is too late to get out of coal stocks at a good price. All of the largest coal companies in the US (Peabody, Arch, Alpha, Patriot, and Walter) have declared bankruptcy, some of them twice. The coal companies which haven’t declared bankruptcy are penny stocks. One of the biggest coal conglomerates in India, Adani, has stopped opening new coal mines and is putting money into solar panels. Coal power plants are closing for purely economic reasons. Frequently. The shutdown of Hazelwood in Australia is a case in point. China has ordered many of its mines to shut down due to a glut of coal and has ordered many of its coal power plants to shut down too. Metallurgical coal is a much smaller market than thermal coal. It is used in huge quantities in the classic steel mills, which use descendants of the Bessemer process to make steel from raw ore. These use coal for control of the carbon in the steel, and also for heating the ore and the iron. However, it is much cheaper to make steel from recycled steel and iron in so-called “mini-mills” that use electric arc furnaces. These still use some metallurgical coal, but not nearly as much; they only use the coal for its chemical function to control carbon in the steel, and do the heating with electricity. They are the only mills used for steel recycling. In recent years, the electric arc furnace method has been advanced and is used on raw iron ore.
Demand for metallurgical coal collapsed last year when the Chinese construction industry took a downturn, and this was the last straw which caused the bankruptcies of most of the coal companies. There is no replacement for metallurgical coal, but it is going to be a very tiny market. Until almost all the coal mines in the world have shut down, there will be gluts and it will be a money-losing business. This means that nobody will ever build a new coal-burning plant again, at least not profitably — the cost of other forms of electricity is consistently cheaper already. This means that the market for thermal coal can only shrink. The price of operating an existing fully depreciated and paid off the coal-burning plant is lower. It is composed of two major elements: the cost of the coal, and the cost of transporting it. In Appalachia, where all the easy coal was mined long ago, the coal costs $45–50/ton. This translates to 2.34 to 2.6 cents per kWh using EIA 2014 assumptions for the average thermal efficiency of coal power plants. Some of the other basins have cheaper coal. The Illinois Basin is only $34.50/ton. The Uinta Basin in Utah is $40.90/ton, but it’s also further from most of the power plants and people, so the transportation costs are higher. The Powder River Basin, which is even further from the power plants and people, is only $11/ton. However, it is very expensive to transport coal, because you are hauling rocks long distances. Accordingly, coal power plants which are far from the nearest mine have found that the coal cost at the power plant is too high to compete, even if the coal cost at the Minehead is so low that the mining company is going bankrupt. It never makes sense to haul coal from an extremely distant basin. Coal power plants which are not located near mines have been closing very, very fast. A thermal power plant has employees and so forth. They always have a cost of operations of at least 1 cent/kWh, and if you add it up, wind power is often cheaper than operating existing coal plants. Coal can’t really be transported by truck for more than short distances, so the coal mines are captive customers, except in the rare case where they can use barges. Mainline railroad tracks have limited capacity. Using the same mainline tracks, they can either run a coal train or an intermodal merchandise train, and the intermodal trains are much more profitable. So they raise the coal train prices to discourage coal customers, so that they can put more of the more profitable intermodal trains on the route. So, economics for existing coal depends very much on where it’s located. But most of the basins are either played out and expensive to produce, or remote and expensive to transport. There are some exceptional plants with their own mines next door which may last longer, but that’s it. Existing thermal coal power plants – even if they’re next door to a mine — also face the problem that they’re old – very old – and they don’t last forever. Eventually, they have to have retrofits. At which point the price is like a new coal plant, which we know can’t compete. Hazelwood in Australia is an example of a plant with its own mine which is closing. Both India and China have choking smog and have instituted policies to reduce coal burning. Coal burning is also very unpopular pretty much everywhere due to local smog. Even the plants next door to the coal mines may be closed because of this, particularly if they are old and might need extensive retrofits. The survivors of the wave of bankruptcies in coal will continue to face an impossible economic situation. Renewables and gas will set a price cap on the price which can be received at the power plant. After subtracting the cost of operations of the power plant and the growing cost of coal transportation, this will set a rather lower cap on the price the coal mine can receive. The shrinking market will mean repeated gluts of coal, which will cause the actual spot price to be even lower. This price is likely to often be lower than the cost of production at the coal mine, which rises every year. Any local objections to the smog will only reduce demand further. This market is really complicated, more complicated than coal or oil. It will last longer. Of these, building heating, process heat, and electricity generation are the big ones. The others are much smaller. The majority of natural gas is produced as a side-effect of oil drilling. The oil is the high-value product; the natural gas is a byproduct. As oil wells decline and are shut in, natural gas production will drop. Lower-quality oil wells and oil wells in later stages of decline produce more gas (a higher “gas to oil ratio”), so as oil fields decline, gas production rises. There are a couple of old major sources of “dry gas,” including North Sea gas, most of which are running out too. A temporary boom in gas production was caused by hydrofracturing shale. However, where hydrofracking only produced gas (dry gas), it appears to have been completely unprofitable, with the exception of one or two sweet spots (worldwide!). Hydrofracked wells run out extremely quickly (1 to 5 years), so the gas from these wells will disappear fast. Where hydrofracking produced oil, it was profitable but produced a huge amount of gas as a side effect, driving the price of gas down. These are very low-quality wells which run out extremely quickly (1 to 5 years) and have very high gas-to-oil ratios. Estimates have been that almost all locations required $8 or higher gas to be profitable without the oil. Even the most grossly optimistic estimates from the height of the fracking boom suggested that some of the best dry gas wells might be profitable at $2.50. The liquids are where the money is. While gas ranges remain the commercial standard and are still preferred by many cooks, most homes have electric ranges installed now, probably just to avoid running the gas line. Electric ovens are actually considered preferable and gas ovens are considered inferior, so gas ovens are disappearing. At current retail prices, it’s essentially as cheap to operate an electric dryer as a gas dryer, and the electric dryers are cheaper. This can only accelerate (for instance, if heat pump dryers catch on). The revolution here is the development of the heat pump. An old gas boiler has an efficiency of about 80%. A really modern condensing gas boiler has an efficiency of about 95%. Resistive electric heating has an efficiency of 100% by definition. But a heat pump has an efficiency higher than 100% — it uses electrical energy to move heat from one place to another (for instance, from outdoors to indoors), like a refrigerator running in reverse. It is rated by coefficient of power – a COP of 2 means that 1 unit of electrical energy moves 2 units of heat. The COP of the heat pump depends on the temperature of the outside air, and they don’t work in extremely cold weather (below about -8°F / -20°C), where you have to use resistive heating as a backup. At 17°F, one heat pump I am looking at has a COP of 2.33. At 47°F, it has a COP of 3.86. These extremely high efficiencies are bringing down the cost of electric heating. A lot. The heat pump costs about the same amount as a boiler, upfront, so the operational cost are the only concerns. In warm climates, heat pumps are already cheaper than natural gas for heating, even at current gas prices. They are being installed by default in new housing developments so that the developers don’t have to hook up the gas lines. It is taking longer for individual homeowners to replace their gas boilers with heat pumps, but when the boiler dies or the gas price goes way up, people will do it. In cold climates like New York or Minnesota, it is still slightly more expensive to heat with electricity using a heat pump than it is to heat with gas. In New York where I live, the heat pump becomes cheaper to operate if natural gas reaches $6 (Henry Hub). Gas prices were higher than that for most of 2003–2008. If the weather gets warmer, of course — as with the warm winter of 2016–2017 — it is cheaper to operate a heat pump in New York than to operate natural gas heating even at a price of $3.00. At recent prices of $3.60, gas is cheaper where I live … if you assume that you have to keep a gas connection. If the alternative is cutting the gas connection, however, the electric costs the same amount. Well over half of the retail cost of natural gas is for maintaining the distribution network of pipelines. It’s much cheaper to distribute electricity. This is why, even with rock-bottom natural gas prices, retail customers are finding that electrical heating and cooking and clothes dryers are cheaper. The trend is, therefore, to not even run natural gas lines to houses. Eventually, we will see lines cut and capped. The savings from switching to electrical is higher if the gas service can be disconnected entirely, removing the fixed costs. By heat pumps, naturally. 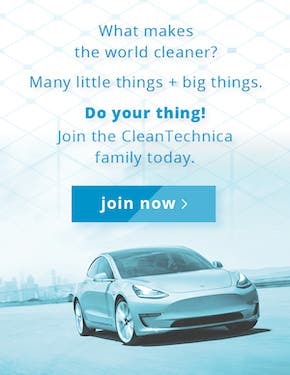 Tesla’s Gigafactory does not have a natural gas connection and operates huge industrial ovens using electrical heating. The fracking, combined with the general decline of oil fields increasing the gas-to-oil ratio, has led to a surplus of gas and a very low price. This has meant that natural gas was so cheap that lots and lots of efficient combined cycle gas turbines were built for electrical generation. However, the cost of new wind and solar is now below the cost of new gas turbines, as explained in the Lazard report cited earlier (new combined cycle gas turbines have LCOE of 4.8 cents/kWh to 7.8 cents/kWh; gas peaking plants have much worse LCOE). And as wind and solar prices keep dropping, it’s also heading below the cost of operating old gas turbines – even at current low gas prices. Landfills and sewage treatment plants generate substantial amounts of methane, which we have to do something with — and they’ll pay to have it taken off their hands. While nobody’s been willing to use it for cooking, it works perfectly well for electricity generation or plastics feedstock. With the price of alternatives — mostly electricity — dropping, the demand for gas can only be sustained by very low prices. As long as gas is produced as a side effect of oil drilling, these very low prices may be sustained. However, nobody’s making money on it. When the oil drilling stops, the supply of gas will drop and the price will rise. But it cannot rise higher than the price of the alternatives, which keep dropping. So it cannot rise high enough to make any significant number of dry gas wells profitable — they will all remain unprofitable. Natural gas prices will swing up and down to very high and very low numbers. In the near term, there will continue to be a glut of natural gas due to attempts to produce lots of oil. Gas prices are exceptionally low. They have been above $4 (inflation adjusted) for a very long period prior to this year. This will keep the gas price down in the very near term, which will keep retail demand going for a while. However, it will also mean that no investment into gas-only wells will happen. The demand for gas for electricity will still drop due to displacement by solar and wind. Retail demand for natural gas will stay flat as new construction will not add gas connections. As the fracked wells run out, the gas supply will drop precipitously and cause price spikes. This will make electricity cheaper than gas and cause more people to switch from gas to electricity (and more utilities to switch from gas to solar or wind). It will not, however, cause financing of new gas wells; or if it does, they won’t get completed before the price crashes again. The decline in gasoline demand will probably cause refineries to produce more natural gas, which will probably bring the price back down, again preventing any gas-only wells from being drilled. When oil wells start being shut in due to the drop in demand for oil, gas production will go down and the price will probably go back up. I may well have the sequence not quite right, but the price of natural gas will certainly be highly variable. The result is that people will switch from natural gas to electricity even in places and times when the gas is cheaper, in order to have stable and predictable pricing. When the price is high, people will switch to alternatives, permanently. When the price is low, drilling will be unprofitable and will stop. On each half of the cycle, demand will drop and volume will drop. This is a dying industry, although it will last longer than coal or oil — but it isn’t really a separate industry from the dying oil industry anyway. Standalone gas companies are already bankrupt. The oil and gas companies will lose a tremendous amount of money as the oil business shrinks. The gas business will also shrink, but more slowly, which won’t help them at all. Natural gas utilities will face fewer customers but just as many miles of line to maintain, meaning that costs will keep going up. Either profits will go down, or they’ll raise rates, which will cause more customers to leave. Electric utilities which have a lot of fossil fuel plants will end up with stranded assets as alternatives for generating electricity become cheaper. In the markets where generation is separate from distribution, this will happen faster, as the utility distributor will simply buy power from utility-scale solar and wind; but even in the markets which still have integrated monopoly utilities, customers (especially big industrial customers) will install their own sources of power if it’s cheaper than the utility. And if the utility is reliant on fossil fuels, it will be cheaper. Both gas and electric utilities are about to become much less profitable than they have been for a century, because they’ve lost their monopoly status. Electric utilities which invest in solar and wind, however, could be highly profitable. It is certainly true that money could be made in the short term by trading the swings of these stocks back and forth. If you’d done market timing on Exxon, or on Peabody Coal, or on natural gas prices, you could have made money on both the upswing and the downswing. However, this is an extremely high-risk investment style, as one miss in market timing could lose you more than you profited for five years — easily. It is not an appropriate investment behavior for any conservative investor. The fossil fuel investment sector is doomed. The doom is already here for coal companies. For oil companies, doom will come within 10 years, but it could be as early as next year — markets are forward-looking and stock investments may well collapse before that. The natural gas business becomes doomed when oil dies. It is unwise to invest any portion of any conservatively managed portfolio in pure-play fossil fuel stocks, or in stocks with the majority of their projected profits from fossil fuel operations. These businesses are dying. Fossil fuel stocks may appear as an insignificant element in certain broad-based indexes or funds. 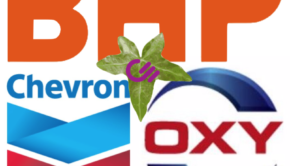 Broad-based conglomerates may own incidental fossil fuel interests, such that the complete elimination of those businesses may have little effect on the conglomerate’s profit. If the total destruction of this sector will not have much effect on the index or business as a whole, such conglomerates may be reasonable investments. But to the extent that you can avoid the doomed fossil fuel sector, it will be good for your investment returns to divest from them. The Rockefeller Brothers Fund was founded by descendants of J D Rockefeller, the founder of Standard Oil, using the money from Standard Oil. They divested starting in September 2014, and their investment performance has improved.